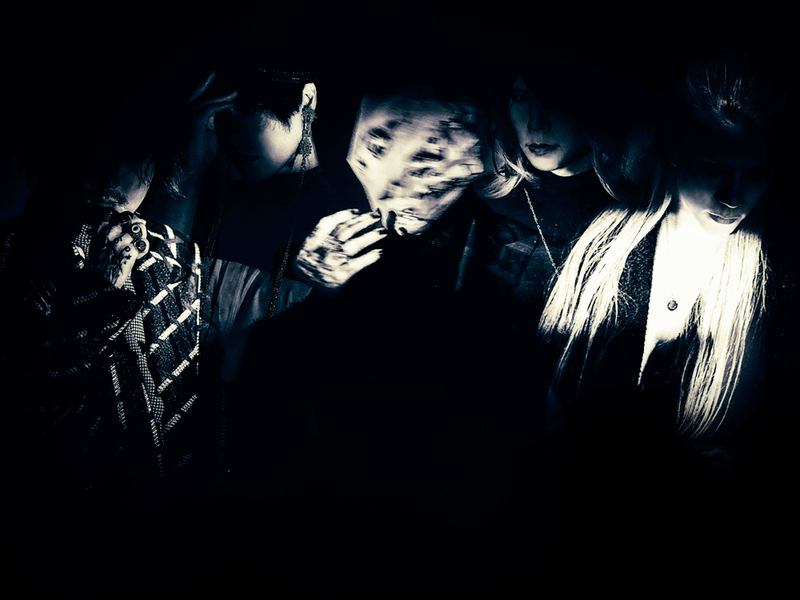 During the second half of May, Japanese Rock and Metal heroes Dir En Grey will set foot on European soil again. This time to support their ninth album ‘Arche’, which was finally released outside of Japan about two months ago. On the album, the band employs a surprisingly straightforward and melodic approach. That made the material on the album relatively easy to translate to the live environment, according to guitarist Kaoru and drummer Shinya. In the past, how was a satisfying concert version of a song conceived? Has last year’s tour, during which you focused on the material of your relatively melodic debut album ‘Gauze’, influenced the material in any way? On that tour, you played the ESP Ganesa models you used in the early days, instead of the Vipers you play regularly these days. Can we hear those on the album? Shinya, your drums sound remarkably fresh and bright on ‘Arche’. New kit? Will we be hearing that one on your European tour as well? How do you arm yourself against that? Kaoru, what equipment is essential to take with you when you travel abroad? How has the audience reaction to ‘Arche’ been so far? Is there a difference between Japanese, European and American audiences? Dir En Grey is one of the only Japanese Rock bands that consistently and successfully tours abroad. Why do you think that is? Progressive Metal has the essence to be one of the most interesting genres of music. And for many earlier releases in the genre, this was true. However, over the years, many Prog bands have limited themselves to playing as inaccessible stuff as possible whilst dwelling on Dream Theater clichés. New Jersey’s Symphony X isn’t without the latter – Michael Romeo’s heavy start-stop riffing screams John Petrucci’s influence – but they also know how to write a good song. In addition, they have a great singer – scratch that, a brilliant one – and an ear for recognizable melodies that many of their colleagues lack. While the quintet has continued to release quality Progmetal records with remarkably good songwriting, they have yet to surpass their 1997 masterpiece ‘The Divine Wings Of Tragedy’. It’s on this album when they discovered the ultimate recipe to their blend of neoclassical melodies, mythologically inspired themes and ornate arrangements. Also, the mixing job is surprisingly dynamic and organic, which makes the album a pleasure to the ears quite litterally. It gives the light-and-shade workings of the band a little more breathing room than on many contemporary Metal records, including some of their own more recent albums. ‘The Divine Wings Of Tragedy’ combines the virtuosic intricacy that the genre demands with an almost catchy approach to songwriting. Nowhere on the record is that more obvious than on the fantastic ‘Out Of The Ashes’. The heavily neoclassical intro – besides Petrucci, Yngwie Malmsteen is an obvious influence for Romeo – there’s an aggressive verse with singer extraordinaire Russell Allen sounding almost as good as a young Ronnie James Dio, after which one of the most beautifully melodic choruses in nineties Metal takes over. ‘The Eyes Of Medusa’ and the awesome opener ‘Of Sins Of Shadows’ have equal interactions between complex riff work and passages that leave a lot of room for Allen’s incredible range. But there’s more. ‘The Accolade’, whilst still firmly within the Progressive Metal realm, finds the band adapting a surprisingly Romantic – capital R – approach both musically and lyrically, while ‘Candlelight Fantasia’ is as close to a Prog ballad as it gets. A beautiful song with heartwrenching lyrics. ‘Sea Of Lies’ was probably the band’s most aggressive song at the time, but the most notable song would be the twenty plus minute title track that works itself surprisingly fluently through a number of amazing movements and a couple of beautiful climaxes. The song has all of the band’s five members performing their hearts out. A work of art. Not just the title track, the entire album. In the end, ‘Pharaoh’ – despite its cool chorus – and ‘The Witching Hour’ are slightly less memorable, but that’s probably mostly due to the fact that they’re surrounded by amazing songs. 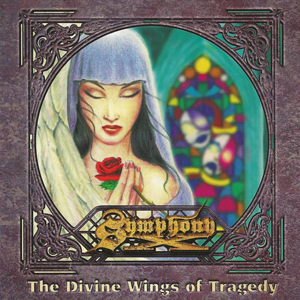 That’s ultimately what sets ‘The Divine Wings Of Tragedy’ above almost any other Progressive Metal album: the entire album is a pleasing listen, but every song is rewarding to listen to separately as well. And so it is proven that excellent musicianship doesn’t necessarily exclude great songwriting. Possibly, but not necessarily. Blackie Lawless’ attitude has gotten W.A.S.P. a lot of hatred through the years – often understandably – and their live performances have been hit-and-miss for quite a long time, but his songwriting has been consistently good ever since he took a more serious route with ‘The Headless Children’. While nothing has quite been as strong as the conceptual masterpiece ‘The Crimson Idol’, there’s always a handful of fantastic songs on the band’s albums and the band almost always combines the best aspects of Hard Rock and Heavy Metal. ‘Dominator’ counts as a latter day highlight for the Los Angeles quartet. While recent albums of the band have been enjoyable at the very least, often they have shown the band either trying to recreate former glories (the ‘The Neon God’ diptych, while highly impressive, is a blatant ‘The Crimson Idol’-rewrite) or dumbing down their sound in order to please the fanbase of their earliest work (‘Helldorado’). For ‘Dominator’, Lawless has just written a handful of strong songs. There apparently is an underlying political message, although it rather seems to be an act of protest, as Lawless’ sympathies are unclear. Ignore that and you’ve got yourselves a fine Hard Rock-ish Heavy Metal record. Or the other way around, if you will. 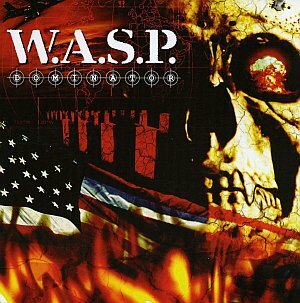 In the shape of ‘Teacher’ and opening track ‘Mercy’, the album contains two of my favorite W.A.S.P. songs. In all honesty, the songs are quite alike, both high-powered Rockers with big choruses where Lawless’ sandpaper vocal chords turn from a sinister half-whisper to a mighty roar. The riffs are simple, but incredibly effective and drummer Mike Dupke answers to that approach pefectly with his understanding of dynamics. Other highlights include ‘Take Me Up’, which starts like a ballad, but turns into a ‘Heaven And Hell’-like midtempo stomper, the rollicking ‘Long, Long Way To Go’ and the typical W.A.S.P. crusher ‘The Burning Man’. All that is missing from ‘Dominator’ is one of those overwhelming power ballads (think ‘The Idol’ and ‘Sleeping (In The Fire)’) where Lawless’ voice gets beautiful in its ugliness. The sombre ‘Heaven’s Hung In Black’ comes close and has some amazing guitar leads courtesy of Doug Blair – easily the best guitarist the band ever had – but ultimately lacks the climax such a song asks for. And after a relatively dark record, closer ‘Deal With The Devil’ sort of sticks out like a sore thumb with its exuberant Rock ‘n’ Roll vibe. It’s not a bad song, but it would probably have worked better with different surroundings. For W.A.S.P.’s ultimate work of art, you’ll have to turn to a different album (‘The Crimson Idol’, naturally), but respect for the band is due, since their third decade output is much better than the average for bands with careers of the same length. Powerful songwriting and serviceable musicianship are generally very compatible and ‘Dominator’ is a textbook example of that. Only Blair sometimes shines brighter than the rest, but nowhere near as much as in live performances of older songs. It’s well worth your time if you like either old school Heavy Metal or eighties Hard Rock. or both. 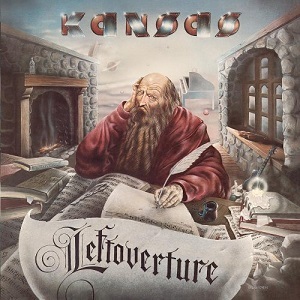 Historically, ‘Leftoverture’ would come to be known as guitarist and synth player Kerry Livgren’s album due to the writer’s block that singer and keyboard player Steve Walsh was suffering from at the time. Generally preferring Livgren’s contributions to Kansas’ albums, ‘Leftoverture’ quickly became my favorite album of the band, despite my favorite song (‘Child Of Innocence’) being on its predecessor. It’s an album that perfectly blends the band’s progressive tendencies and Rock power with their melodic sensibilities and Livgren’s philosophical wonderings. The result rivals Styx’ ‘The Grand Illusion’ as the best American progressive Rock album of the seventies. What I like most about Kansas is that they weren’t schooled musicians, like most of the British Progrockers of the era were. Kerry Livgren’s compositions and arrangements show that he knows a great deal more of music theory than your average Rock ‘n’ Roller, but the unschooled rawness lendt the band a powerful edge that many of their British contemporaries lacked as their progressive Rock transitioned into Art Rock. Kansas has a violinist – in fact, the coolest in the genre – and a keyboard player and a half, but didn’t forget they were a Rock band first and foremost. Well, they would in the eighties, but that’s a story best left for another time. ‘Carry On Wayward Son’ functions as the shop window for this record. Despite its relative complexity, it quickly became a huge radio hit and that’s probably due to the large amount of hooks in the riffs and melodies. But it’s hardly the only highlight on the album. The album’s shortest track ‘What’s On My Mind’ may be even better, with its hard driving rhythm, jubilant chorus and the brilliant guitar interplay courtesy of Livgren and Rich Williams in its main riff. Kansas’ more introspective approach also shows its best side on ‘Leftoverture’. ‘Miracles Out Of Nowhere’ builds from the delicate and passionate vocal work in the verses towards a powerful finale, while the beautiful ‘The Wall’ has a nearly symphonic quality with the way it works toward carefully orchestrated climaxes and Walsh’s passionate vocal delivery. Near the end of the album, the band goes full-Prog with ‘Cheyenne Anthem’ and the lengthy ‘Magnum Opus’. The latter goes through a few movements, only one of which with vocals, showing clearly the influence of classical music on the band. It’s similar, yet it rocks a lot harder. Though the band released one more successful album before falling victim to the identity crisis that seemed to be mandatory for every band that was around in the seventies. Kansas would never rise to the height of ‘Leftoverture’ again, but then again, some bands would have killed for an album this good. For me, it combines two things I love dearly: hard driving progressive Rock with its music and lame puns with its title. Besides being the band’s best album, it’s also the ideal starting point for people who want to know what Kansas is all about, as it works its way through more accessible tracks towards a more ambitious B-side. Well worth anyone’s time. Album covers are supposed to seduce people into buying the sound carrier they contain. Though not quite as hideous as…let’s say ‘In The Court Of The Crimson King’, the cover of ‘Immortal’ doesn’t suggest that we’re dealing with one of the best Heavy Metal records of the 21st century here. Yet that is the case. ‘Immortal’ has the Japanese quartet running the extra mile and therefore, it is the band’s best studio album thus far. Their perfect blend of traditional Heavy Metal and early Power Metal may be relatively simple in composition, but intense and unbelievably effective in execution. When the nineties destroyed just about anything good about every Heavy Metal band that was active in the eighties, bassist and band leader Naoto Shibata did the right thing and Anthem laid low for a little while. As a result, ever since the band reformed around the turn of the century, they have been churning out albums that were decent at the very worst. ‘Immortal’ is one of those albums where the blend of aggressive energy, recognizable melodies and expert musicianship is just inexplicably perfect. It also seems to be just a tad faster than the average Anthem record, which contributes to the exuberant, powerful nature of the album. The increase in tempo can be heard right from the start; opening track ‘Immortal Bind’ – still one of the best Anthem tracks thus far – is borderline Thrash with Hiro Homma’s rolling bass drums and Akio Shimizu’s fast palm-muted riffing. Eizo Sakamoto’s brooding double-layered vocals in the verses and triumphant approach in the chorus are the cherry on the cake. The slightly Motörhead-ish Speed Metal monster ‘Soul Motor’, the delightfully chaotic ‘Betrayer’, the more traditional ‘Road To Nowhere’ and the highly melodic ‘The Beginning’ are all uptempo scorchers that make my blood boil with old school Metal euphoria. However, when the band slows down a little, their class and versatility really shines through. ‘Mob Groove’ is a groovy little stomper with an irresistible chorus, but Shimizu’s masterpiece ‘Echoes In The Dark’ really takes the cake. The midtempo song has a dangerous sounding groove that, combined with Sakamoto’s clean but raw vocal assault, is somewhat reminiscent of Dio’s darker work. Elsewhere, Shibata’s compositions allow both Sakamoto and Shimizu to shine. The former with his passionate, enthusiastic vocal performance and the latter with his melodically strong and enviably fluent fretboard magic. Not judging an album by its cover once again proves useful when it comes to ‘Immortal’. If you like good old Heavy Metal, it’s simply impossible to dislike anything on this record, apart from maybe its poor to non-existent distribution outside of Japan. 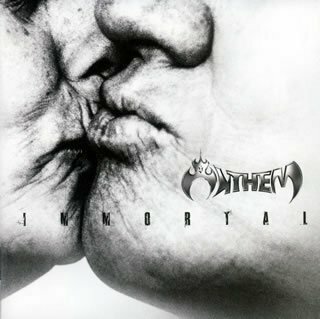 After this album, Anthem would continue to make more really good Heavy Metal records with Sakamoto and later – on last year’s pleasantly surprising ‘Absolute World’ – Yukio Morikawa on lead vocals. Every good band just has that one record where they rise above themselves. While many traditionalists may point to ‘Bound To Break’, ‘Immortal’ is that record for Anthem.